‘These plants have no use in physick as yet found out, but are esteemed only for pleasure, by reason of the goodly shadow which they make with their thick bushing and climbing, as also for the beauty of the flowers, and the pleasant scent or savour of the same’. The fluffy ‘hair-do’ seedheads are indeed a delight, and the flowers, though small, can be extremely abundant. I’ve never savoured the scent, but they are said to smell faintly of almond. The plant is a member of the buttercup family (Ranunculaceae) and is found in the UK roughly south of a line from the Mersey to the Humber. It has been widely planted in other places, however, and is considered invasive in countries such as New Zealand. Left to its own devices, it can form a thick canopy that shades out other plants. 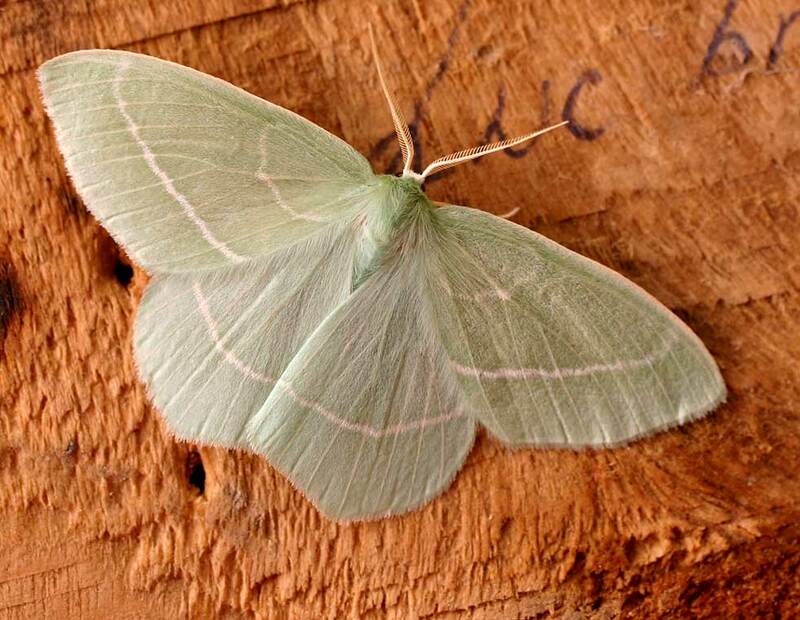 However, in the UK it is the sole foodplant of several species of moths, including the small emerald, small waved umber and Haworth’s pug, who help to keep it under control. 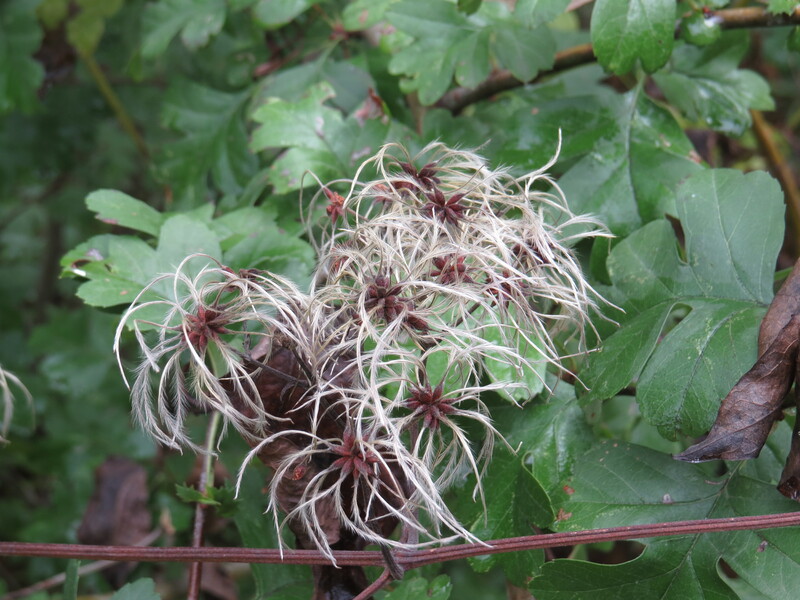 The dry winter stems of old man’s beard have been used as cigarette substitutes, giving old names such as ‘smokewood’ and ‘boy’s bacca’. In Slovenia the stems were was used to tie sheaves of grain together, because it was believed that mice wouldn’t gnaw on them. The stems have also been used to make baskets and rope since the Stone Age. 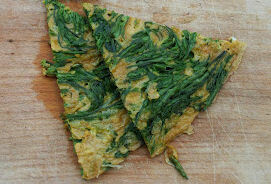 In Italy, the boiled buds are used in omelettes called ‘Fritatta di vitalbini’ and are considered a delicacy. ‘Ingestion leads to severe abdominal pain, gastrointestinal irritation and has caused death in cattle though it is not usually eaten because it has an acrid taste and contact can cause skin irritation‘. 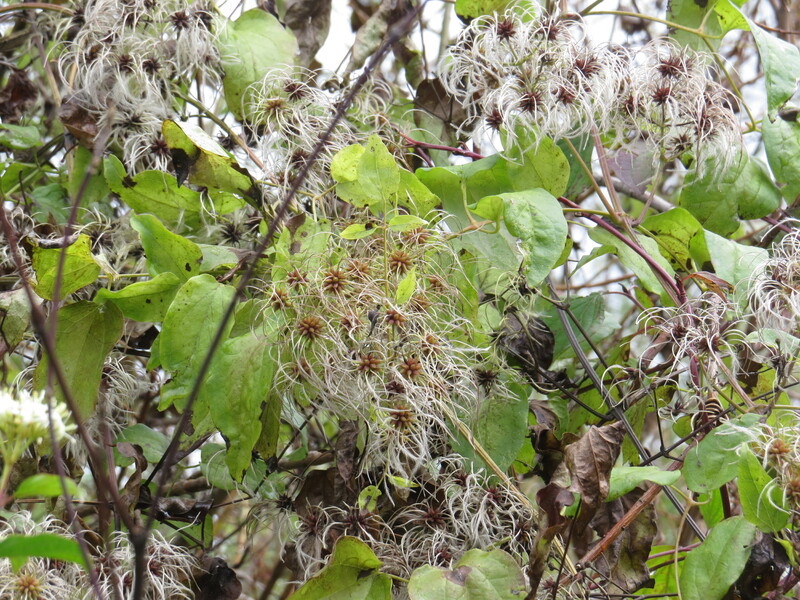 In short, old man’s beard is a plant to be used well-boiled, or not at all. ‘ medieval beggars and mendicant friars would enlist vitalba’s venomous qualities to bring about sores on the skin, to achieve a more pitiable appearance before those potentially charitable souls whom they passed on the road‘. In French, the plant is known as ‘herbe aux geaux‘, or rascal’s herb, so presumably this effect was well known across the plant’s range. From a folkloric point of view, old man’s beard bears a double meaning, as is so often the way. It was said by countryfolk to do the devil’s work, because it smothered other plants and killed them. It is also associated with the Virgin Mary and with God because of its white flowers, and another vernacular name for the plant is ‘Virgin’s bower’. I can well imagine resting on a bed of these fluffy white seedheads, or reclining among the sweet-scented flowers. I have been quite remiss on the poetry front for this past few weeks, but here’s a piece by Edward Thomas to make up for it. He really is one of the best of England’s poets with regard to his appreciation of the countryside. ‘A mouthful of earth to remedy all’, indeed. 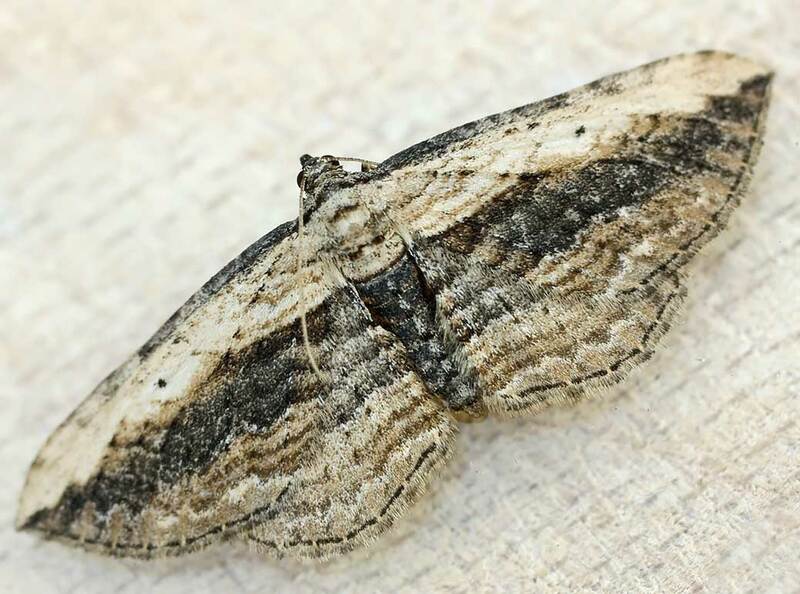 This entry was posted in London Plants on November 7, 2018 by Bug Woman. Ah, maybe it does do the devil’s work after all…poor Bobby ! I like the line ‘Standing upright out in the air’. I’d not come across this one but how typical of Thomas it is, with its sense of place and of time, both past and future. Poor man, he got his mouthful of earth in WW1. 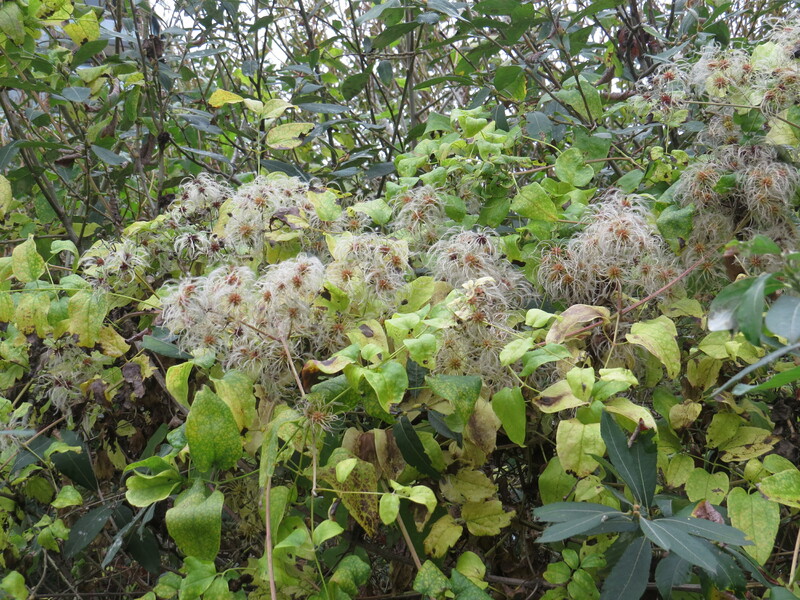 We have our own native species of clematis. Native enthusiasts really like, but it is not as pretty as most. I think that the seeds are more prominent than the blooms are. Those from your region are more interesting. One of my favorites happens to be North American though, but from way up north in Minnesota and Canada and such. Clematis sp. 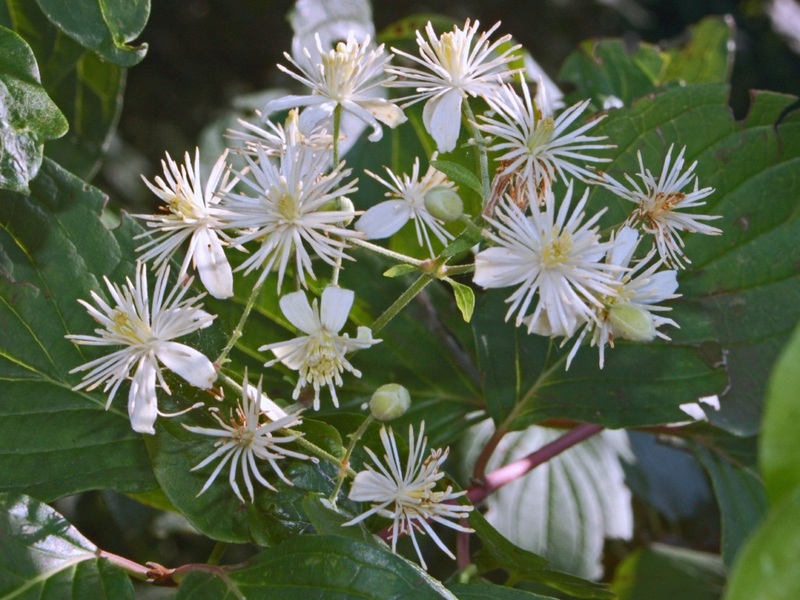 are really popular as garden plants here, especially Clematis montana and the big-flowered varieties like Clematis jackmanii and Clematis sieboldii. 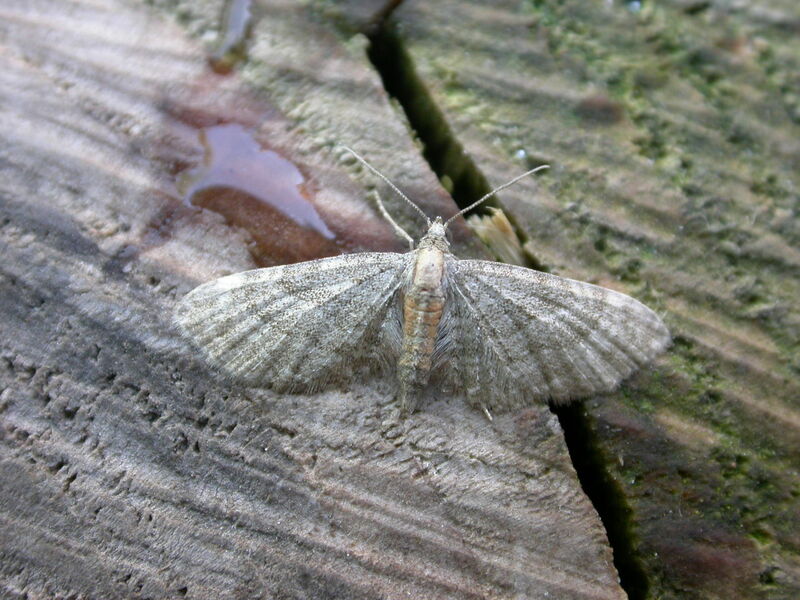 I’ve always found them rather short-lived though…. That is why we do not often bother with the Clematis jackmanii and Clematis sieboldii cultivars. However, Clematis montana rox! It rocks, and rolls, and covers everything in sight – my neighbours had a Clematis montana that they’d trained over both of their doorways and bay windows, it was absolutely glorious. In fact I’m thinking of getting one meself…. How odd that I know the seed-heads very well yet had never seen the flowers! Aren’t they pretty? Yep, I’ve never seen it in flower. I must pay more attention! Surprised you don’t mention its alternative name Traveller’s Joy, so fitting for a climber that decorates the hedgerows for the delight of passers-by. Umm, Natasha, have a look at the first paragraph…. The Edward Thomas poem also calls it ‘traveller’s joy’.